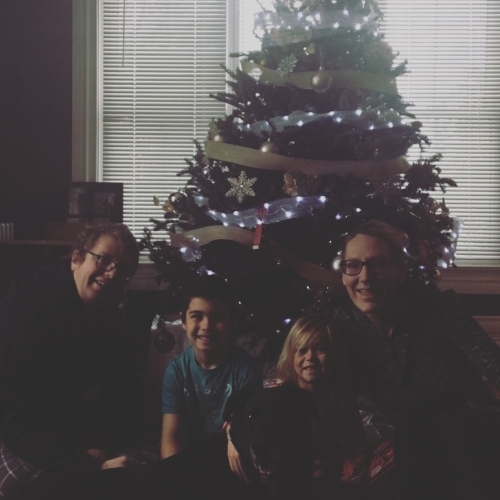 Last fall I read a book by Shauna Niequist called, “Present Over Perfect.” It was the perfect timing because one month before Christmas we received an emergency, same day placement of two babies – a one year old and a two year old. The concepts of that book quickly sprang to life as I was forced to let go of perfectionism. As we near the holidays again I wanted to share some of what I learned from this book, because it’s not only applicable to the holiday season but also to those in the throes of wedding planning. I get so caught up in perfectionism. The perfectly wrapped presents in matching paper. I want it all. I want the food to taste amazing. The kids to not fight. The family to have no drama. I set these high expectations. But what my family needs is for me to present. To spend time with them. Why am I seeking perfection when what they need most from me is presence? So, what if I use the leftover napkins from last year instead of buying new ones. So, what if I don’t have enough matching silverware and we use mismatched? Will Christmas continue? Will anyone notice? Those things don’t matter in the grand scheme of the holidays. This year I chose present. I chose to be organized and prepared so that I wasn’t stressed. I hosted dinner for my entire extended family on Saturday. And I raise my voice at my children once. I chose to include them in the preparations, to pace out the day and to enjoy the season. To look at Christmas through their eyes, remove some of my expectations and delight in being fully present. To be organized and to let some things slide. Because I truly believe it’s a choice. One that each one of us can choose. Are we striving for perfection or are we choosing to be present? This holiday season, choose to be present. Choose to not care if the floor is a bit dirty or if the kids are a bit cranky. Choose to spend time with people, not just money on them. It’s the same with wedding planning. There are tons of things you can stress out about. Are the napkins the same exact shade as the bridesmaids’ gowns? Will the ring bearer make it down the aisle? Will everything come together perfectly? I'm not saying don't enjoy the small things. I'm not saying don't care about wedding planning. Just don't let those small things pull you away from what matters most: the people around you. Let go of some of the desire for perfection and celebrate the start of your new life together. Write the beginning of that chapter as present instead of perfection.